Whether you are handy in the workshop or not, this is your opportunity to build your own Greenland paddle! Paddling with a Greenland paddle is a fast-growing aspect of kayaking because these paddles are surprisingly shoulder-friendly and easy on the body in general, and because of their connection to the ancient past of kayaking. We provide the raw materials, the workshop space and the tools, along with the skilled guidance and encouragement of our experienced paddle-maker! You provide the labour and the inspiration to create your own paddling masterpiece. You will leave the course with a custom Greenland paddle that you built yourself. 1:4 (MAX) Our ratio is the lowest in Alberta to ensure you of the best paddle-building experience possible! ? Part of the famous Undercurrents experience! This is an active participatory program. Please "dress to mess" and bring your own safety glasses & work gloves. 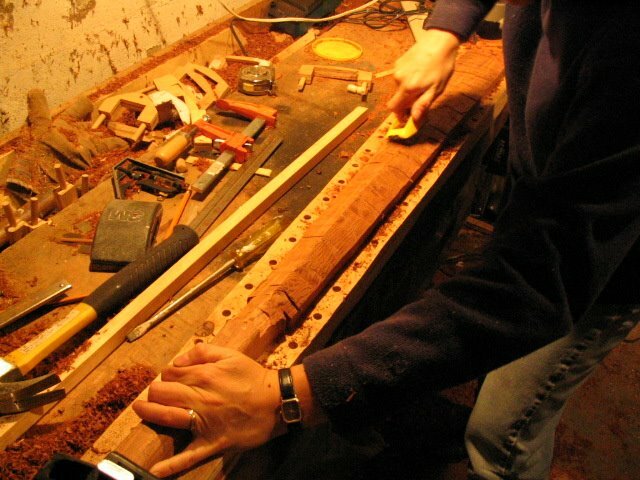 We provide the clear-grain cedar board custom rough-cut for you, instruction, use of the tools, and skilled guidance while you make your paddle. This clinic is designed for adults - all participants must be at least 16 years old. 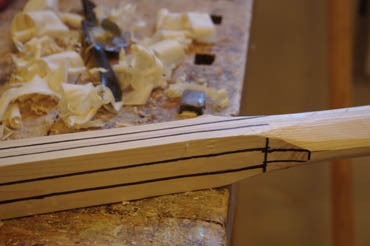 Once you have built your beautiful new paddle, you will want to learn to use it properly. Register for our Greenland FUNdamentals course to get the most from your masterpiece! Build your own Greenland Paddle runs: at the Old Boathouse in central Calgary (Google map) from 10 am - 2 pm.